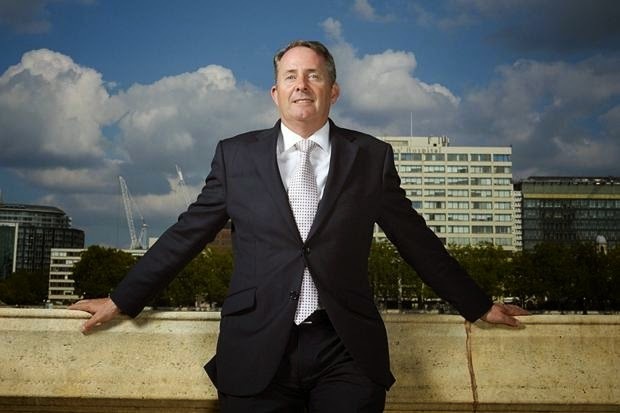 Liam Fox interviewed by The Times. I know that Fox is a huge music fan, at Mastermind level when it comes to lyrics and song titles. Bowie is a particular favourite but he plays music all the time (Amy, his assistant, has a face of stone as he says this.) “I’m still desperately upset that I was unable to get Kate Bush tickets. It’s been my greatest disappointment of the year,” chortles Fox. And that includes all sorts of things, I note, thinking of the reshuffle. “That was vastly outweighed by not getting Kate Bush tickets,” he says with another big giggle. I suspect we haven’t heard the last of that laugh yet. PS Apparently, he's got a book out, but you know, meh.